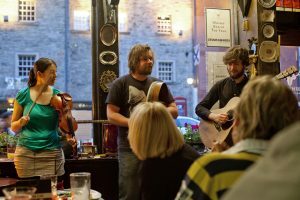 Join us every Friday evening for the amazing GORMS live music gig, singing Scottish/Irish tunes with their own unique twist – get ready to join in and have a brilliant time! FREE entry. Join us on Saturday night for our daily live music gig with Roadhouse playing live - free event so come along early for a good seat. Mondays kick off the week with free live music gig by the Gorms - amazing Scottish / Irish tunes that will have you joining in.